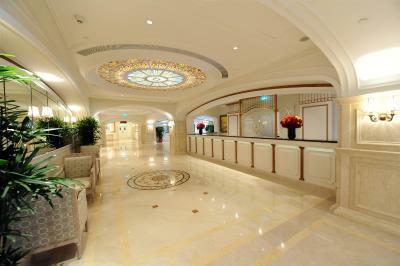 Lock in a great price for Harbourview Hotel Macau – rated 8.7 by recent guests! Check in and check out most terrible moment,FO staff seems like ignoring me standing infront of them. 2 pillow cases was have a hole. Room very dusty,and rubish bin also damage. Only jacuzzi in excellent. The staff was courteous and prompt. The room was great. Room service did a great job. The breakfast buffet was amazing! Upgrade to a room with two bathroom. Clean and spacious. 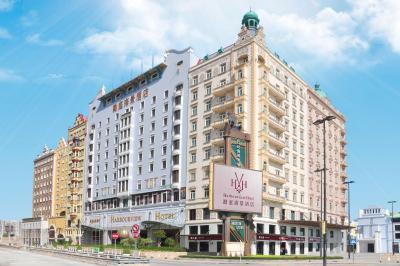 Harbourview Hotel Macau This rating is a reflection of how the property compares to the industry standard when it comes to price, facilities and services available. It's based on a self-evaluation by the property. Use this rating to help choose your stay! Macau International Airport is a 15-minute drive away. 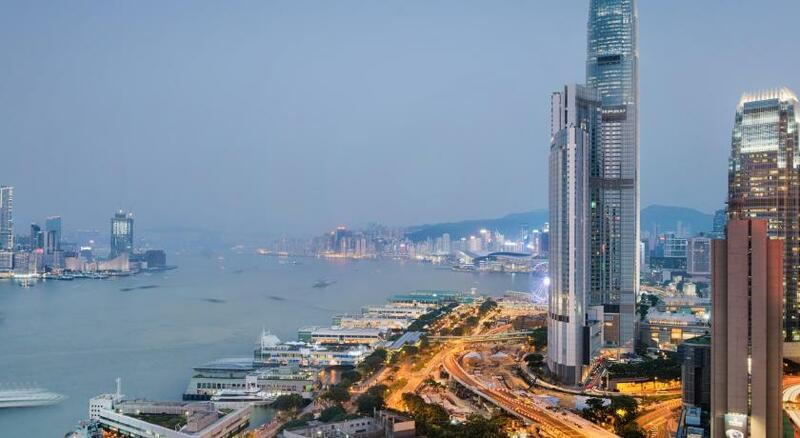 The hotel is 350 feet from Lotus Statue, 2,300 feet from Macau Ferry Terminal and 1 mi from Mount Fortress. Each room here will provide you with air conditioning and a mini-bar. There is also a refrigerator. Featuring a bath or shower, private bathroom also comes with a hairdryer and slippers. Extras include a desk and a safety deposit box. At Harbourview Hotel Macau you will find a fitness center. Other facilities offered at the property include luggage storage and shops (on site). Praha Restaurant offers Asian dishes and international culinary delights, you can also enjoy snacks, wine and cocktail at Praha Bar. 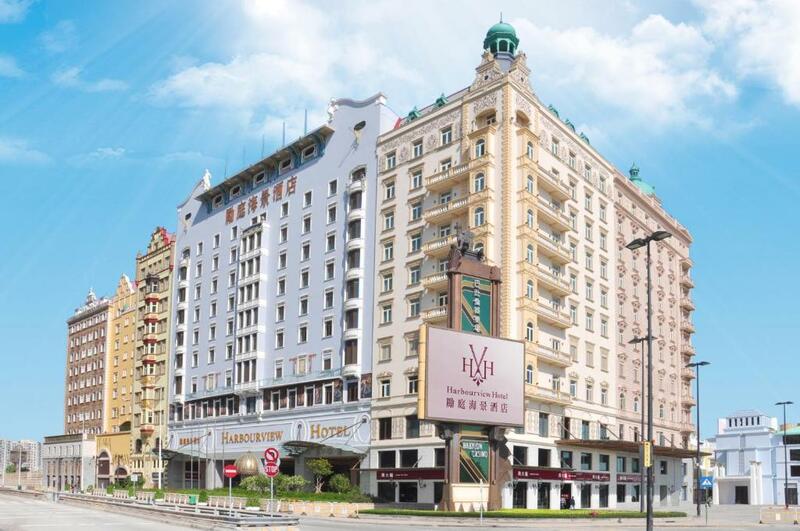 When would you like to stay at Harbourview Hotel Macau? Room is equipped with complimentary in-room Wi-Fi, iPod docking station and branded bathroom amenities. It features sophisticated design of the room and a bustling city view. Public parking is available on site (reservation is not needed) and costs HKD 240 per day. With a sophisticated and exquisite design based on 18th century Prague, the Harbourview Hotel Macau brings its guests a unique hotel, dining and shopping experience. Our Hotel offers 389 comfortable guest rooms and 55 spacious suites with branded bathroom amenities and complimentary in-room Wi-Fi access to connect with friends and family. This unique experience combines historic charm and modern elegance, from the international cuisine to the cocktails at the Praha Bar. The Jacuzzi, all-season indoor swimming pool and Gymnasium help guests unwind and relieve tension. 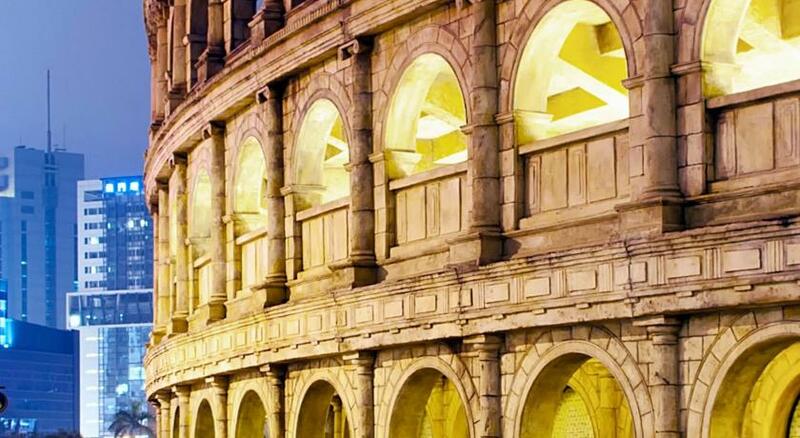 Guests can also enjoy major tourist attractions on the Macau Peninsula. Our Art Nouveau style hotel ensures your stay will be an enjoyable lifestyle experience and a fantastic place to create memories. House Rules Harbourview Hotel Macau takes special requests – add in the next step! All children under 16 years are charged HKD 460 per night for extra beds. Any additional older children or adults are charged HKD 460 per night for extra beds. Harbourview Hotel Macau accepts these cards and reserves the right to temporarily hold an amount prior to arrival. Guests are kindly requested to provide guests' full names in English which state on valid travel documents at the time of booking. Other languages are unacceptable. Reservation must be guaranteed through a valid credit card (Netcard not accepted) upon its confirmation. The cardholder must be a hotel check-in guest. Upon arrival at the hotel, the cardholder shall present the same card used for verification. If such card cannot be presented, payment must be settled through another credit card or in cash. Using a third party’s credit card for guarantee or prepayments is not accepted. It's just on a pricey side; for the aesthetic, service and privacy. I recommend to stay for a night here and try other hotels if you're travelling light. Macau is small, so try out other hotels if you're here for more than 1 night. Breakfast is about 19-21SGD, my family manage to walk out of the hotel, about 7mins walk across the hotel to a nearby coffee house for their local delights. I recommend get breakfast on your last day so it'll not be too rush for you to come back and forth to check-out. Their gym facilities are standard, lights are a little dim but overall its impressive. The hotel aesthetic was the reason why I choose a place further from the main attractions, even so, you can take a bus right outside of the hotel to the attractions like Da San Ba etc. As the hotel is near the ferry terminal, we got to travel to Hong Kong more conveniently. Appreciate that there's less tourist in that area. We booked a twin suite, suitable for a family of 4-5. Not sure if you can request for extra beds if you have 5-6 pax. The room is big enough for 6 pax (2 twin bed 1 king size bed, 1 living room) Customer service is good overall, there are English speaking attendants during our check-in which was helpful. I'll recommend this place if you're coming as a family, couple or a small group of friends. Wheelchair accessibility should be quite decent. Shop in general are open from 7/8am onwards till 10/11pm. You literally can travel to the hot places in one day. Try Margaret's cafe egg tarts and bread, find a good almond tart (if you like almond) and talk to locals! The only con was the slow, in efficient check-in service because of which we had to queue up twice. The location, the view over Fisherman's Wharf, the well-furbished rooms were the pros. Few people in the casino nearby. Good service, quiet and comfortable room, beautiful lobby and good location for shopping, dining-out and other casino. Breakfast was great. Staff were very helpful. Shuttle bus to ferry was very convenient. The swimming pool and gym were exceptional. It's not that i didn't like, i suggest to provide the hotel a portable wifi for their guest for them to use outside of the hotel and a hotel-airport transfer. Good service especially the filipino staff, at the lobby (sorry i didn't got your name, you know who you are), at the concierge "mikhael" you did a great job! And the other staff at 8am shift (sorry i forgot your name).. Thank you guys!! There seemed no shuttle bus to the holel except ones to the Sands hotel located to the opposite side of the road. The showering glass is not sealed properly so the water spreaded out to the toliet right outside the showering glass. I requested the front desk to deal with it but unfortunately it was handled very briefly n it still leaked. Clearly the problem exsited before we arrived but no one seemed to have taken it seriously for all the following guests' concerns. There is one thing most unacceptable was the cleaner didnt change the bed sheet or make the bed while cleaning the room, so the bed was just like exactly the way we left the room when we returned. Unbelievable! I could accept no two new bottles of water(yeah, another thing I complained) were provided but not this. I liked the location cuz it is near to a few bus stops(AP1, 3A n 10A etc) which lead to most of the sightseeings we planned to go. Its just besides the famous fisherman's wharf although nothing seemed happening there. I past it everyday but I didnt go in during the whole trip. The toiletries were all from L'occitane which impressed me.